The product arrived in the mail through the USPS. The packaging is great as the box has big bubble wrap on it to ensure that the item would not be shaken during the transportation. I like the Monbaby-blue packaging it is very informative. I noticed a quick feature information about the item on the back of the box. The monbaby has a FREE download application in both iTunes and Android smartphones. Easier to navigate and when you have a QR scanner in your phone installed it easier to find their app. I don't see any damage on the item that I was able to use the monbaby right away. It has a quick way of using the product. It comes with a batter, a user manual, the monbaby itself and the limited warranty of the product. No tools needed, it's simple to put the monbaby on my son's pajama. Simply place the button enclosure on the inside of the baby's pajamas or onesie, with the convex side facing the baby. Then, align the smart button on the outside of the baby's pajama/onesie with the Button enclosure, and press it into the enclosure that it is fastened to the clothing. Connecting to the app is one quick and simple way. Once you have downloaded the app into your smartphone [just make sure you turn on your Bluetooth] and the connecting is fast too. Once you are in, you can see the dashboard the configuration or in the Setting area the activity it can possibly help you. I never have any problem syncing to the Bluetooth at all. Very helpful for me especially when my son is sleeping, the app accurately gives me all the activity my son is doing while he is out sight. From lying on his back to his side as well as when he is on his back. The motion will alert me right away. Also alerted me when I accidentally drop the monbaby product on the floor [without my baby wearing it] about the fall. There are many kinds of configuration/feature this monbaby can have and I do find it very accommodating. I'm a very paranoid and very protected mother, all I want is to ensure that my baby is safe, and this monbaby is just amazing, helps relieve me being paranoid. I am at ease whenever he is in his crib and when I'm away from him. It does monitor my baby's activity. The awesome part is, I can take this monbaby hassle free from anywhere we go. Very small, even smaller on my tiny palm. Very lightweight indeed, very accurate and affordable. What I don't like about it is that it's Bluetooth and we all know that there are only a certain range to get connected. I think I am only 13 feet away from my baby and then a movement would no longer be detected and says its not connected. So, this monbaby needs to be used if you are within the same room with the infant. Wow sis! I really like to have one. Sincerely I wish I could buy this here in the philippines. I have a 4 month old baby amd I am also a paranoid mother. I always make sure that my baby is safe and wants to know his activity from time to time. 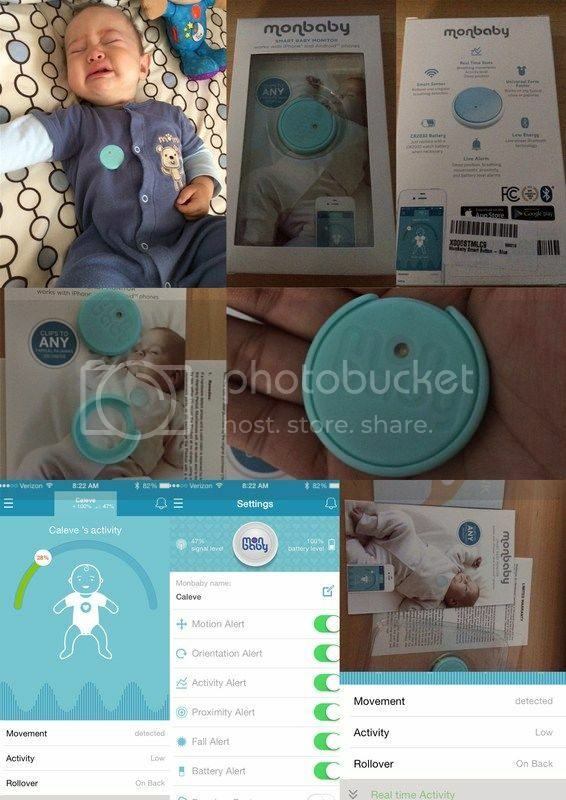 Monbaby is a very useful product! I hope I can also have one. This is a great option for moms who want to monitor their kids during sleep. I had a monitor when my son was a baby but a gadget like this, I wouldn't mind using too. I think this is better than baby monitors as it alerts you for every movement. This a must have for parents with babies. Useful techtoy for new moms.Every mom is a paranoid i guess. I miss having a baby at home. Well, that don't save the purpose to me because I would like something that I can use within a good amount of distance. Asus, nainosente na naman ako. If this product is right now available then laking ginhawa ng mga moms. She can now monitor her baby's movement . I have a newborn and this product looks very useful. I'll check out more details but thanks for the honest review. I am kind of paranoid too and thought of getting videocams.